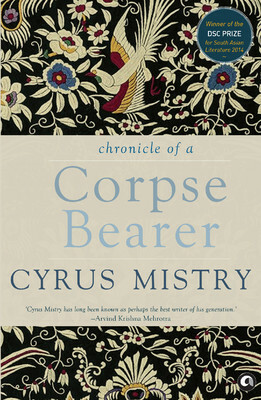 Cyrus Mistry won the DSC Prize for South Asian Literature in 2014 for Chronicles of a Corpse Bearer. Khandhias, the Parsi corpse bearers are almost like the untouchables in the Hindu order of society. They are segregated from the rest of the community and perform the all important tasks of bringing the body to the funeral cottages and preparing them for the Towers of Silence. Here the vultures prey on the corpses, their bones are pulverized by the sun and their bodily remains are finally subsumed in the elements. Chronicles of a Corpse Bearer is based on a story that Cyrus Mistry heard when he was researching for a proposal for a Channel 4 documentary on this marginalized section of the Parsis. In Mumbai, at the beginning of the last century, a dockworker Mehli Cooper gave up his job and social life, and embraced ostracism in his love for a khandhia’s daughter. He also led the only revolt ever by the corpse bearers for a better life for themselves. Through the story of Phiroze Elchidana we get a glimpse into the lifestyles of the Parsis, their religious beliefs, and their politics. As a khandhia, Phiroze is cut off from the outside world, yet it encroaches into his small world all the time – India becomes independent, the value systems of India and its people begin to change, the old genteel lifestyle is replaced by blatant avarice, the land where he finds peace and safety begins to be sold off, and even vultures begin to disappear from the Towers of Silence. The characters in the book seem underdeveloped though. Despite the fact that the narrator of the book is Phiroze, the character is not fleshed out adequately; that is true for the characters of Sepideh, Farida, and many others as well. 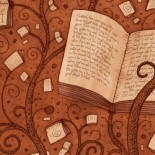 At some places the author rambles a tad excessively on life, death and relationships, and some parts of the narrative don’t connect. Yet, Chronicles of a Corpse Bearer is an engrossing read – on one of the most fascinating, and rapidly dwindling Indian communities. This entry was posted on September 28, 2015 by Preeti Singh in Book Reviews, Fiction and tagged Chronicles of a Corpse Bearer, Cyrus Mistry, india, Parsis.